Find out why 6+ million readers around the world have fallen in love with Bella Andre’s New York Times and USA Today bestselling contemporary romances about the Sullivans! As a successful private investigator who has caught most of the cheaters in Seattle with their pants down, Rafe Sullivan believes true, lasting love only happens once in a blue moon. Needing to get away from the city to clear his head, he finds the lake house where he spent the best summers of his life is now a wreck...but the sweet girl next door is all grown up and prettier than anything he's ever seen. While Brooke Jansen is happy making and selling chocolate truffles in her small Pacific Northwest lake town, she secretly longs to experience something wild. So when her favorite "Wild Sullivan" moves in again next door after more than a decade away, and sparks fly between them, she can't stop wondering if being bad is really as good as it always seemed...and just how long it will be before she can find out. But when their summer fling quickly spirals into deeper emotions than either of them were expecting, can they survive the heat between them? Or will Rafe make the biggest mistake of his life and end up losing the best thing that's ever happened to him? 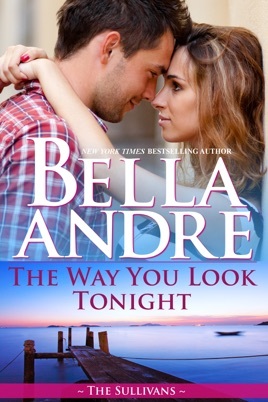 THE WAY YOU LOOK TONIGHT is part of Bella Andre's #1 bestselling series about The Sullivans. While it can easily be read as a stand-alone story, you'll likely enjoy reading the other books, too. To escape the lurid realities of his job as a private investigator, Rafe Sullivan hops on his Ducati and tears back to the lakeside cottage where he spent many joyful childhood vacations. There he discovers that the little girl next door, Brooke, has blossomed into a sensual truffle-maker. 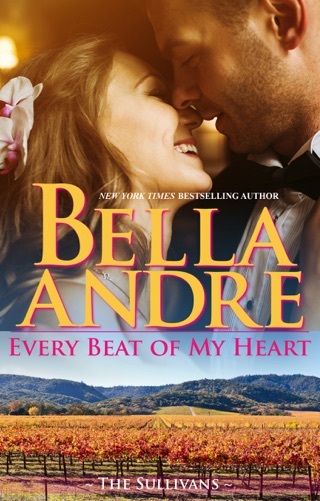 With brilliant pacing and spot-on dialogue, author Bella Andre heightens the growing attraction between her main characters and builds on the rock-solid familial relationships that tie together the instalments of her best-selling Sullivan series. OMG.....what can I say everyone should have such a love story. Story about a burned out PI who takes time off to buy a former beach property and re-acquaints himself with a childhood friend, now all grown up, and in all the right places too. Its shock and love at first sight! A wonderful story by Bella Andre. As usual!